What I'm picking up is the sitting had run incredibly late, but given the talks Ramaphosa had had with oppostion parties coming out with a fairly positive spin that everyone would 'abide by the rules' to get Parliament on track; the ruling party had been very keen to let that be the story this morning and not allow things to degenerate. It was an uneasy ceasefire, post the meeting with Ramaphosa, but since the DA's motion, it seems that Ramaphosa has communicated that once there's a climate that's conducive to obeying the rules of Parliament, then the President will obey the rules too and account. The ANC are equally determined not to let this motion put forward by the DA to go through because it would embarass their leader. It's an important motion that communicates the fact that a rule was broken. We can't move away from that. Parliament feels that the President has failed and this should be communicated, otherwise you're saying that Parliament has lost its teeth and should be co-opted by the Executive. I've likened what happened yesterday, I've likened it This is a uniting motion, because it says to Parliament that what came out yesterday is that we want to hold the President to account. It was quite a heated debate, with a panelist who suddenly couldn't take it anymore and there was an expression that everyone there is coming from a different perspective, which must be respected and no one must be excluded because Sanral doesn't like it. It even got to the poiht where Nazir Alli (Sanral CEO) also jumped in, raising his voice, stating that he should also be allowed to make his submission on behalf of Sanral. It's been reported that the CEC that sits without Numsa is sitting over whether to institute disciplinary proceedings over Zwelinzima Vavi and Zingiswa Losi who was suspended by Numsa to join Popcru. We know the ANC has advised the CEC not to do anything regarding Vavi, to avoid increased divisions. The unions are busy holding their Special National Executive meetings and will report back soon. Some of these are fetching as well as overseas and we're expecting some of these to fetch over a million Rand. 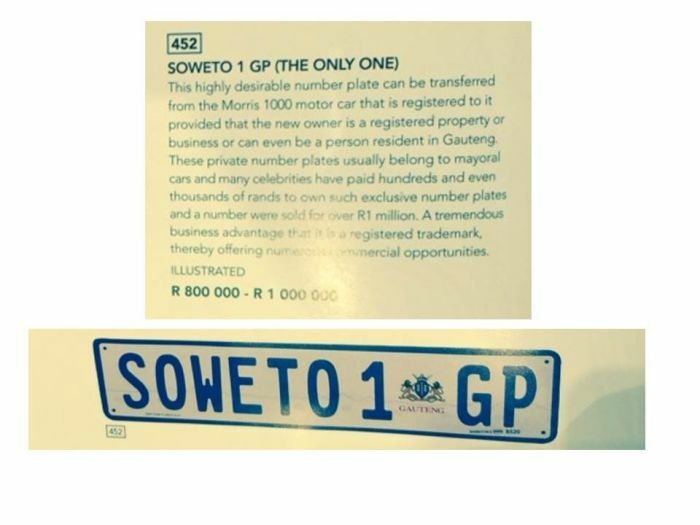 We've sold F1 GP two years ago for over a million rand, without the car. F1 in the UK is available for 500-million Pounds - can you believe that? The Criminal Procedure Act shows grounds to appeal for this kind of conviction and it provides for a matter of law and not on a matter of fact. The defense says that the prosecution is appealing on a matter of fact and it is thus incorrect application of this law. There's a lot of talk these days about profiling. What happens is the immigration offices - relating to the Immigration Act - try to strike a balance between national sovereignity and security versus the rights for people to come in for investment and other business. You can arbitrarily take people out of a queue and subject them to an interview and send them home. Home Affairs maintain this was not a detention, saying it is simply 'holding her for the airline's convenience'. This isn't an isolated incident, it is an ongoing experience.